Exciting Day Here at the CMash Blog. I have teamed up with the Women’s Lit Cafe Gratitude Blog Hop Authors Give Back!! And today, my guest is author Amy Manemann!!! The WoMen’s Literary Cafe is very thankful for all of the support from bloggers, reviewers, and readers during the Come Back To Me book launch and 99 cent event. As a thank you, we are giving away “Deadly Reunion (The Taci Andrews Deadly series)” for free today only. Enter TODAY to win your copy! So please help me give her a very warm welcome as only you can do as she is generously offering to give away three (3) EBook EDITIONS of the Deadly Reunion (The Taci Andrews Deadly Series). So without further ado, Ms. Amy Manemann!!!! 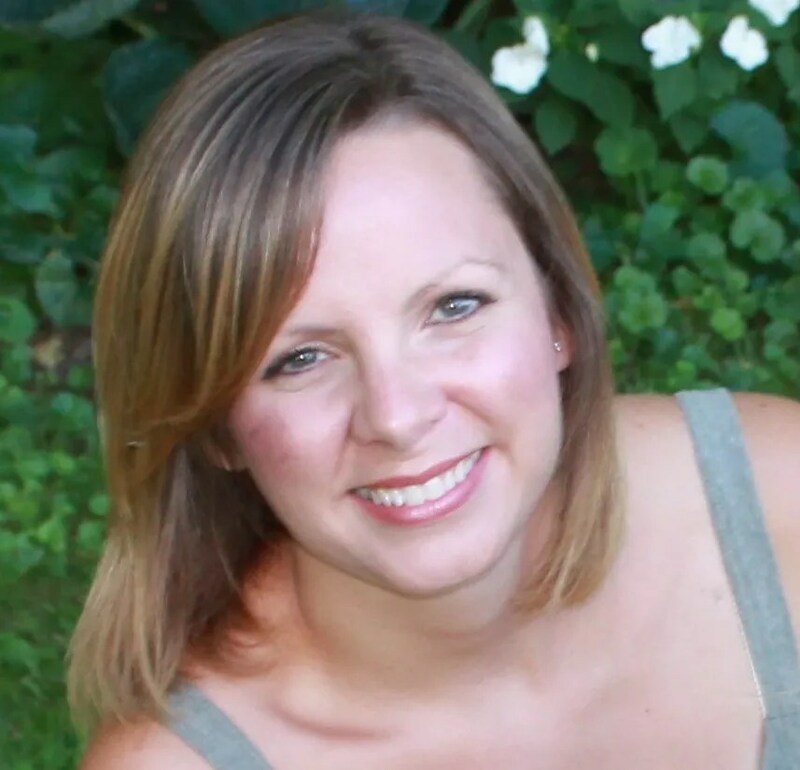 Amy Manemann grew up in the rural community of Clinton, Iowa where she still resides with her husband and their two children. An active participant at her church Amy enjoys spending time with her children, writing and getting engrossed in a good book. 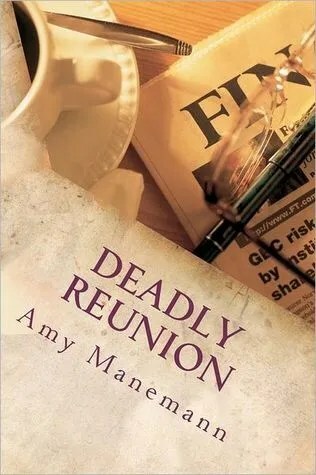 Deadly Reunion is the first of four books in her Deadly Series featuring Investigative Reporter Taci Andrews. Why do we give up on our dreams? Believing in the magic of your dreams is a key step inturning them from fantasy into a reality. So why do we often times take a stepback and allow life’s little hiccups determine when we stop believing inourselves and let our dreams slip through the cracks? I feel like I’ve been a writer my entire life though itwasn’t until this past year that I decided to take the proverbial leap of faithand join the publishing world by becoming an Indie Author. This wasn’t an easydecision for me, in fact I had many misconceived notions about the way you weresupposed to go about getting published and none of them included stepping outon my own. However, when I first delved into the mysteries of the publishingworld my newbie eyes received an awakening and I soon grew weary of theconstant battles I faced to just simply query a traditional publishing house oragent. Was this what my life had become? To have spent hours uponhours pouring my heart and soul into a story only to be given a list of rulesto follow to send in a query letter was disconcerting, to say the least. It wasat this point I nearly gave up on my publishing dreams. And then my father’svoice, long since gone these past ten years, echoed a reminder in my ear: Neverstop believing in the magic of your dreams. And as he was so many times in my youth I have to say yetagain, he was right. I was willing to let a brick wall put an end to my longhours of hard work simply because I thoughtthis was the only avenue to go about publishing. And then I met a fantasticgroup of Indie Authors who opened my mind and changed the way I would foreverview traditional publishing. I am happy to say I thoroughly enjoy being an Indie Author.It’s not the path I originally was set on, yet I feel as though this was the pathI was destined to take. And all thanks to a ghostly reminder of not giving upon the magic of my dreams. So, dear reader, a question to you: What dreams have you letfade slowly away from your heart? It’s never too late to bring them back. Youjust have to believe. Smart mouthed Taci Andrews is an investigative reporter for the Riverdale Times with a lot on her plate. Between receiving a dreaded invitation to her fifteen year high school reunion, her best friend’s divorce drama and her own solitary dating status her fun meter is pretty much pegged. When Taci’s partner goes missing while covering a missing child feature she is suddenly thrown into the story of her career, which oddly enough delves into a past she would rather forget. She soon finds herself squaring off against a malicious class Barbie Doll, the High School Quarterback and a steamy Fireman from her past whose deep blue eyes are still enough to curl her toes. Concerned about the disappearance of his friend’s daughter, Firefighter Tony Parsons returns to his hometown of Riverdale to see what is being done with the case. Having a few connections with the police force he decides to pull in a few favors, running into former classmate Taci Andrews in the process. His last memory of Taci was back in high school when she’d given him a black eye for feeling up her shirt. He had to admit the grown up version of Taci was even better than the adolescent version and when he learns she’s covering the story for the Times he decides to tag along. Despite babysitting three hyped up children, having a disastrous date night, receiving an ominous warning and nearly getting blown up, the sparks that quickly ignite between Tony and Taci are hard to ignore, despite their best efforts. As they delve deeper to uncover the deadly truths surrounding the sleepy town of Riverdale, the old feud that rested between them for ages begins to give way to an unexpected passion. But new feelings for one another or not they both have a job to do and a missing child to find. Can they put their feelings aside to solve the case or will they be next on the missing person’s list? I HAVE 3 EBOOK EDITIONS TO GIVE AWAY. I can not wait to read this book! Thank you so much for the wonderful Hop…and Post! My TBR pile keeps on growing! Amy, this is a lovely message about not giving up on dreams. It's so sad when people reflect on the missed opportunities in their lives and live with regret. Now is better than tomorrow if you have a dream aspiration. The indie route makes more sense that ever now and is a more viable choice if one has the willingness to pursue it and follow through to make it succeed. Amy, wonderfully encouraging messages to never give up on dreams. I enjoy stories that have romance and children thrown into the mix, so this sounds like a good read . Congrats and much success to you! Wonderful post! It wasn't until lately that I felt like "real writer" either. This book looks like a good one! Great post Amy!! Glad you went with your dream!! Thank you so much for participating in this awesome event! !